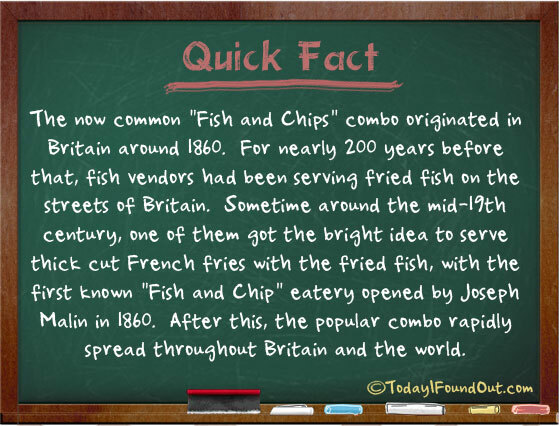 The now common “Fish and Chips” combo originated in Britain around 1860. For nearly 200 years before that, fish vendors had been serving fried fish on the streets of Britain. Sometime around the mid-19th century, one of them got the bright idea to serve thick cut French fries with the fried fish, with the first known “Fish and Chip” eatery opened by Joseph Malin in 1860. After this, the popular combo rapidly spread throughout Britain and the world.